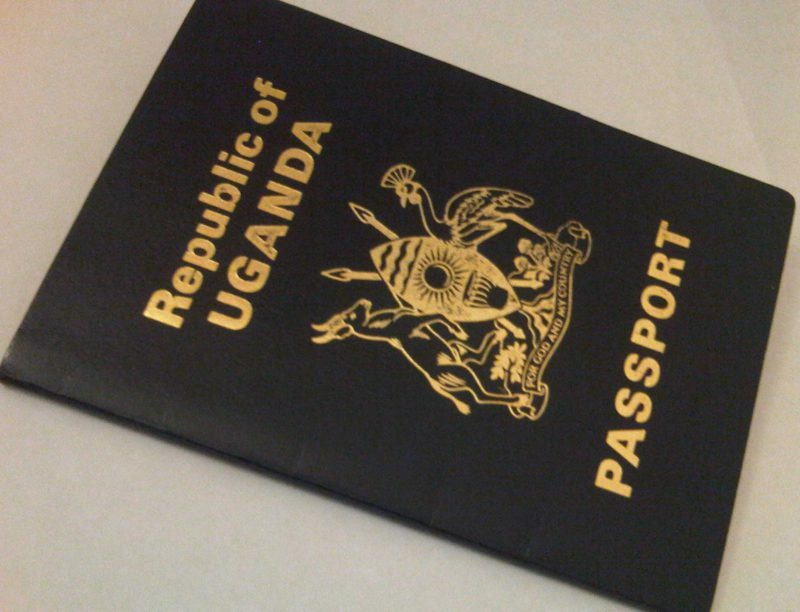 KAMPALA – Uganda owed passport manufacturer De La Rue Shs1.9 billion for the supply of passports as of June 2016 according to a report by the Auditor General. The arrears went twelve months back something the Auditor General said then could impact on future supplies. In Financial Year (FY) 2014/15 the Directorate of Citizenship and Immigration Control (DCIC) did not procure passports. The 70, 162 passports it issued in FY2014/15 were from the FY2013/14 stock of 150, 000, according to another report by the Auditor General. DCIC said the Ministry of Finance had not allocated it adequate funds to procure more passports. The Ministry of Finance said there wasn’t enough money to go around. The government had already prioritised the activities – roads and energy infrastructure, education, health services, public sector management – on which to spend money. Procuring passports was not one of them even though collections from the passports are a source of non-tax revenue. Now Uganda has limited stock of ordinary passports. The government claimed last week that the shortage is due to an increase in demand. It said that 700 Ugandans, up from 450 two years back, now apply for ordinary passports daily. The government attributed the shortage to the planned switch from the traditional to the electronic passports too. “In view of the above, it was logical to procure reasonable quantities to avoid financial loss due to over stocking of a passport that is about to be replaced,” the Minister of Internal Affairs Jeje Odong told Parliament on Tuesday, June 20. Mr Odong did not tell Parliament how many traditional passports Uganda had ordered from the United Kingdom–based De La Rue. Now, due to the shortage, the government is issuing ordinary passports to only ailing Ugandans who have to go abroad for treatment. Besides the ailing Ugandans, the government will issue passports to Ugandans who have to travel to foreign countries on government business. It will also consider Ugandans who have got international scholarships or fellowships. Ordinary Ugandans who need ordinary passports have to wait until fresh stock arrives in Uganda from the United Kingdom probably in July. In case they intend to travel within the five-member East African Community (EAC) bloc, they could apply for EAC passports. Those want to travel to either Kenya or Rwanda could use their country’s national identity card. The e-passports will be issued most likely starting January 2018. Presently, the government is in the course of sourcing for a supplier. At this point, it is still not clear how much each e-passport will cost. An e-passport has a radio frequency identification chip, and a digital image of the owner.